According to a recent report of the airline Jet2.com, the capacity on flights operating between the UK and Spain will increase by 26 percent next year. 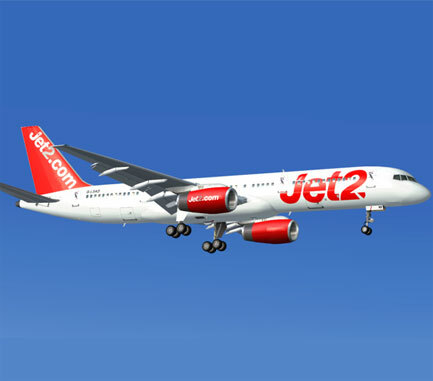 Among the new routes added in 2012 there will be available flights from Glasgow to Barcelona, Ibiza, Lanzarote, Malaga and Murcia. From East Midlands there will be flights to the destinations of Malaga and Murcia, and other new connections between Edinburgh and Alicante, Barcelona-Manchester and Gran Canaria-Leeds. The first will be available with the new summer schedule on March 29, while the rest will be gradually incorporated until May 18. Thus the low cost airline will increase in 26 percent the capacity of the connections that are currently operated between 11 Spanish airports and eight British destinations.